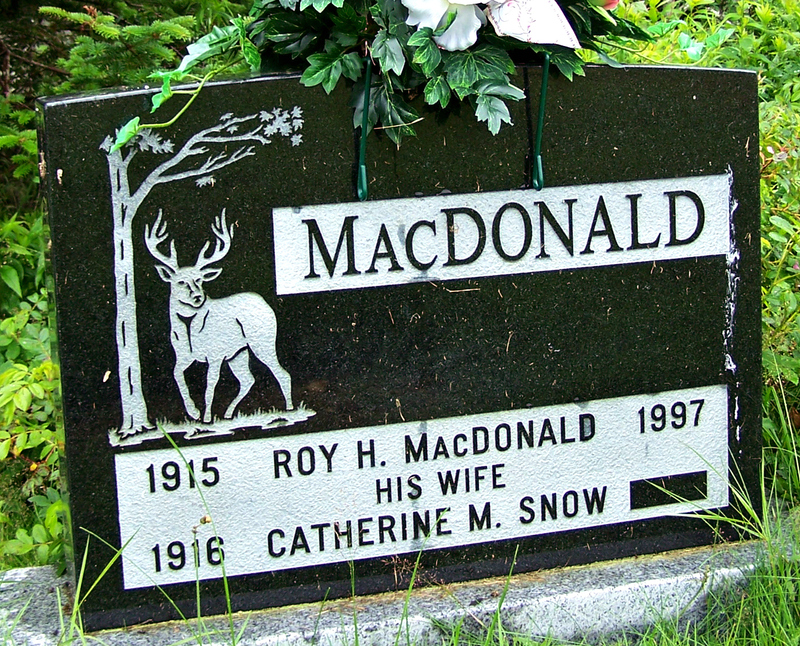 According to his birth record, Roy Hallet Horton MacDonald was born April 16, 1915 at Harrigan Cove, Halifax County, NS, to Minnie Lois Hayes and Gilford Morris MacDonald. He married Mary Catherine Snow on December 22, 1934 at St. John’s Rectory, Truro, NS. According to their marriage record, Roy was 19 at the time and working as a chauffeur. Catherine was 18 years old and working as a housekeeper. She was born at Halifax, NS, but was living at Truro. She was the daughter of Sarah Leadbeater and James H. Snow of Harrigan Cove. According to Roy’s obituary, he died at the age of 82 on December 20, 1997 in the Eastern Shore Memorial Hospital, Sheet Harbour, Halifax County, NS. According to Catherine’s obituary, she died at the age of 90 on February 8, 2007 in the Victoria General Site, QEII Hospital, Halifax. Anderssen, Sherman Rogers: Born September 8, 1904 at Moser River, Halifax County, NS, the son of Annie Rebecca Tingley and Carl Hauger Anderssen.